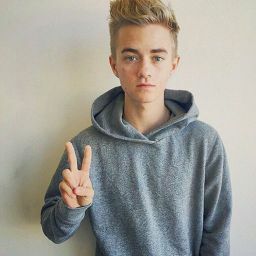 I have been in New York for 2 weeks with my friends jack gilinsky ad jack johnson. They had some type of meet and greet there and i wanted to go see some family. We were leaving tonight around 9. We were all exsusted, I got no sleep the night before. "olivia"gilinsky yelled for me. "have you seen my tooth brush" i got up knowing he would never find it. I walked into the bathroom to find a half nakeed gilinsky, he was only in a towel. "gosh damnit finnegan"i yelled covering my eyes. Even though i actually didnt mind because i like really liked him. He was so sweet in know that we wouldnt be anything though. I found his tooth brush in the corner of the counter. We were now packing up to go to LA. I was packed but Gilinsky wasnt so i was sitting at the end of my bed. I started thinking and usually when i think alot i end up crying. I over thought Jack and I, like how in this world i end up being his best friend, we practcally live with each other, why does he have to be such a tease, ive liked him forever now why doesnt he notice it, why doesnt he notice i LIKE him. He will never love me and i need to learn that he could have any girl in the world, so why would he chose me. Im ugly, he is like my brother, im awkward, and im not like other typical girls. I was now cryind what the heck i cry over the stupidest things.
" whats wrong ollie" gilinsky said in his baby voice. I was sitting at the top of the head board now and he was crawling up to me. i was looking down I didnt even notice him crawling up. "dont cry please"he said pausing he looked down like he was about to say something he didnt wanna say. " i hate seeing pretty girls cry"he said. I was still crying I didnt even noticed he called me &apos;pretty&apos;. He made me look up by grabbing my chin. He lifted my chin so i was now looking at him. The thing that happend next was so un-real. He grabbed my face in his hands and he kissed me. I felt it, I felt how they feel in the movie. In this movie i knew i knew i loved him. I know its to early to tell him so i just said it to myself. "ollie i meant to tell you along time ago, i like you like alot. When we were really little i used to remember sneeking out to your house and having tea parties just so i could see that beautiful smile of yours"he said. Every word made my heart melt. But this couldnt happen, us couldn&apos;t happen. Sure i liked him like alot but why did he mention it now. Now that i am crying he tells me. MAybe he pitty&apos;s me. I hate pitty like alot, never have i ever liked when someone pitty&apos;d me. I had to leave. I wasnt going to go to LA with them. I was going back to Ralston and im staying there. I couldn&apos;t handle bein here seeing him pitty me. "Jack i got to go"i said. I didnt know what i was going to tell him. "tell Johnson i said good luck and have fun, both of you"i said. And with that i was out of the hotel. Before I left I say hurt in his eyes, I saw sarrow, I felt so bad leaving him like that. When i got to the airport, the next flight to Ralston was at 8:30. Just in time so I miss jack and jack before i leave so they wont see me. I was sitting and waiting to be boarded. it was 8:15 now. "Ollie please tell me whats wrong"he said, the person i didnt wanna see, the only one that called me ollie. 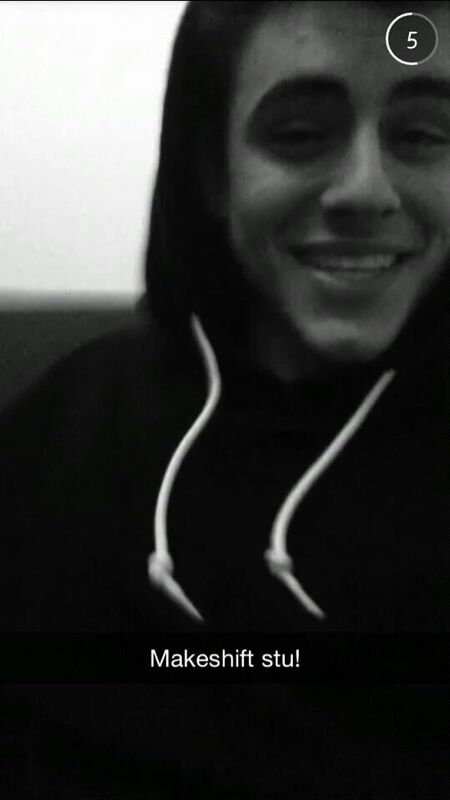 Jack Gilinsky. "my name is Olivia"i said obviously mad. "whats wrong please tell me please"he pleaded. "okay, i liked a guyu who doesnt like me, he is standing infront of me, but i dodnt wanna ruin my friendship with him, oh and like i would ever even be with him or he&apos;ll even notice im head over heals for him, i dont know you tell me would you be upset if the girl you liked/love was infront of you kissing other guys and totally ignring the fact that you like her"i started ranting. "gosh dang it olivia your so cute... you dont even notice the guy that likes you is right here talking to you, ive liked you since way back when we didnt even know what love is, but i knew and i knew love was you and i had to have it, olivia i like... no no wait.. i love you"he said. I just sat there shocked that the &apos;l&apos; word came out of his mouth and it was to me not another girl. "jac--"i was cut off by his lips pressing into mine. Sparks flew every where this kid I loved him.